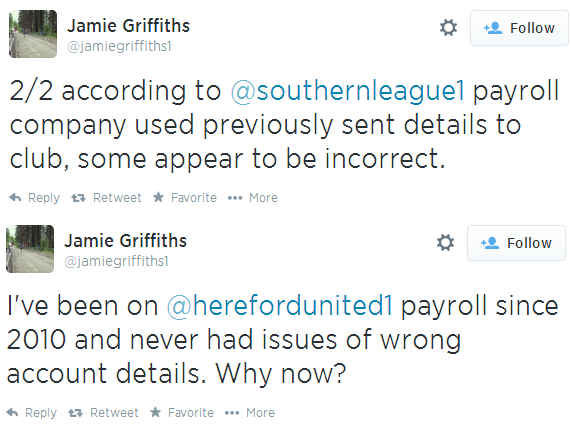 Test: Football Creditor Money "Paid Into Wrong Account"
Football Creditor Money "Paid Into Wrong Account"
The Southern League have told at least one football creditor that he has not been paid as his money has been sent to the wrong account. The monies that have arrived at people's accounts have come from the client account of club Director Philip Gambrill's accountancy company Gambrill & Co, the company that shares an office with Insolvency Practitioner Marc Landsman. With his phone number in the public domain, another fan has called Tommy Agombar and has been told today that just four football creditors are left to be paid. A series of creditors confirmed last night, including Burnley FC, that they had received money, but both Griffiths and former Club Secretary Lee Symonds are still awaiting outstanding sums, as well as several former players including Rhys Evans, Chris Sharp, and Jarrod Bowen. More than half of those who have confirmed they have been paid to Bulls News have acknowledged that they are still owed further sums.